The search for a short term loan can be a complex task. And in some cases in can even become a nightmare. 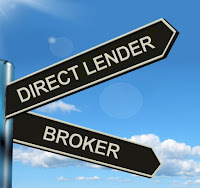 One of the reasons that keep coming back is consumers being misled by brokers that look exactly like direct lenders and are not clearly showing they are brokers. By applying there, you personal information is shared with dozens or even hundreds of 3rd parties. 1- Direct lender or broker? How to easily detect brokers? Most of the time it takes a few second to get this right by looking at the small prints on the homepage. Most of the time it will be located in the footer (bottom) of the page but it can also be on any side or around the Representative example. This will return all the page of the site including the word you entered. 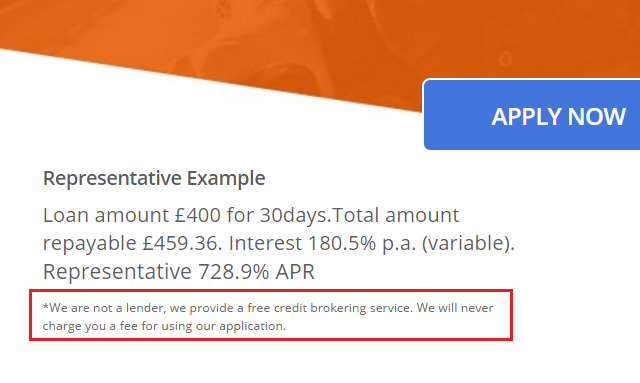 You can of course replace ''broker'' by ''fee'' to know more about the fee policy of the lender/broker. You will surely find a lot of information in the Terms&Conditions. Once again you could easily identify a broker as their business will be registered as ''credit brokerage''. As soon as you read that ''your details will be passed on to 3rd parties'', there is a high risk of receiving some unsolicited emails. 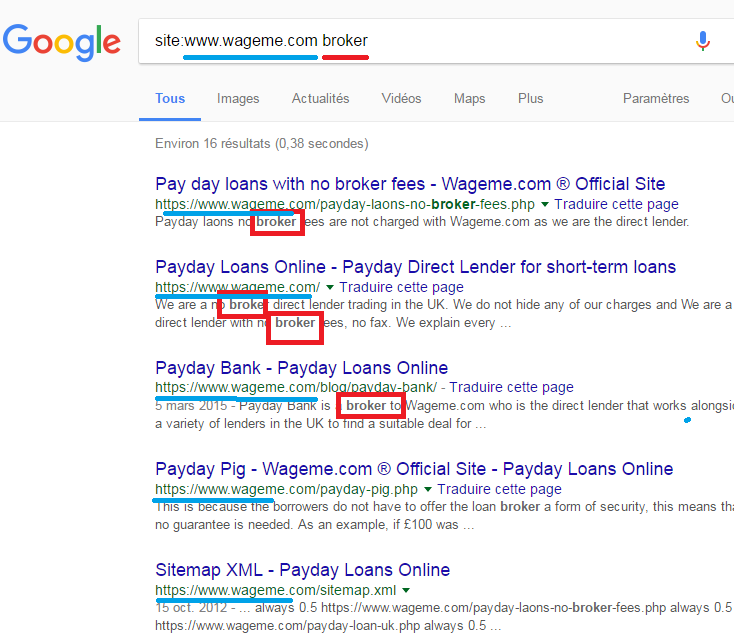 For example, if you look for our reference number - 729430 - you will find allpaydaylenders.com under Trading/brand names. So you can be sure you are on a licensed website.